I drew this awhile ago, and probably should have posted a WIP. 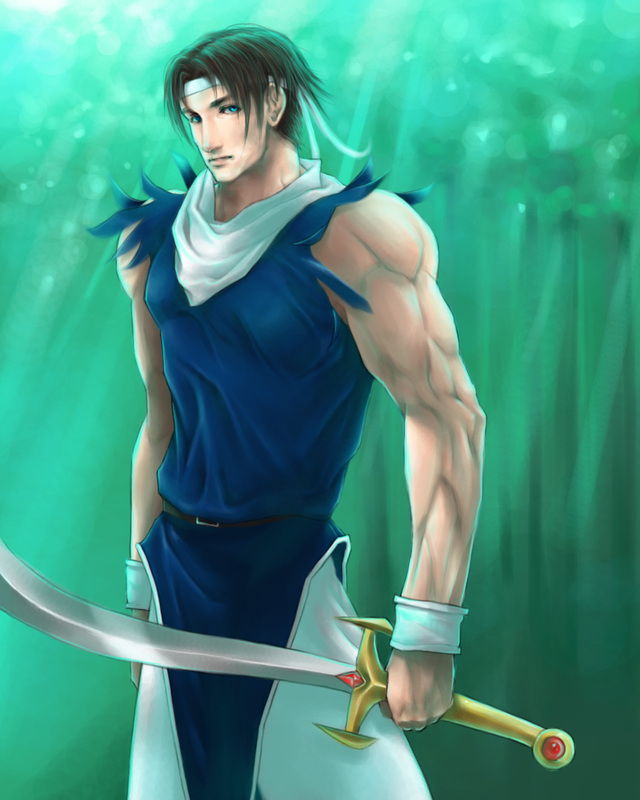 This is the main character, Alen from an old SNES game, Alcahest. There's not a lot of official artwork on him, but he looked pretty cool in the game, so I decided to see what he would look like in a realism drawing. He reminds me of Ryu though, so you'll notice some similarities. Hahah. This is awesome. Love the colouring, tones are great, and how the background light is reflecting off him...beautiful. Nice work! xD Such pretty lights! *favs* Good job!